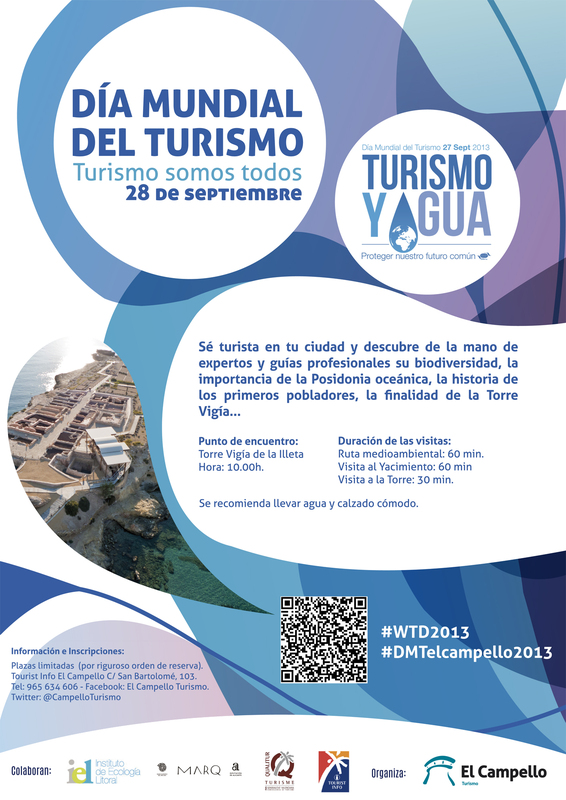 WORLD TOURISM DAY 2013: “Tourism and Water: Protecting our Common Future”. El Campello, saturday september 28th, 2013. 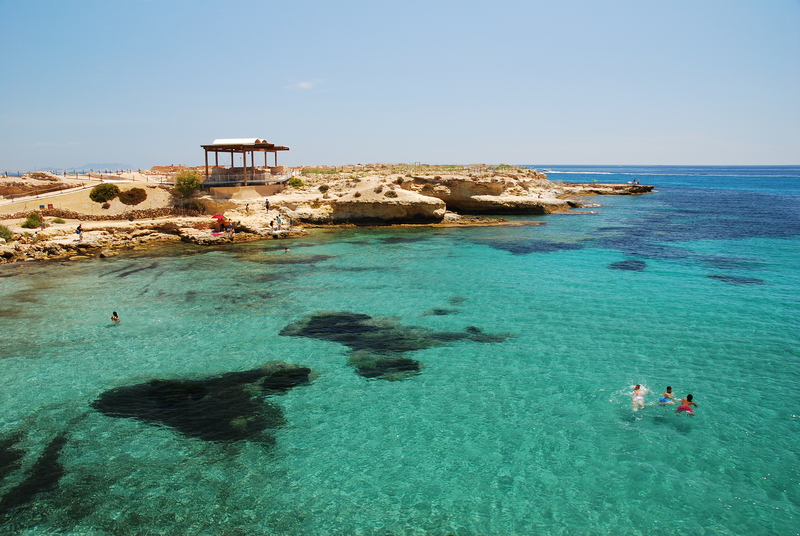 Consistent with the proposed annual World Tourism Organization (UNWTO), the celebration of World Tourism Day (#WTD2013) is officially held this year on 27th september, and from the Tourism Board of El Campello propose a touristic, cultural and environmental guided tour on saturday 28th september. There will be a guided tour on saturday september 28th in the Illeta dels Banyets area (Voramar promenade, archaeological site and watchtower) under the motto “water, tourism and sustainability”, working closely with the Instituto de Ecología Litoral and the MARQ museum. We will visit the seafront environment of la Illeta guided by the Instituto Ecológico Litoral staff, giving an overview of the importance of protecting the environment and the peculiarities of the Posidonia oceanica; we also visit the archaeological site of la Illeta dels Banyets by MARQ guides, and the watchtower by the Tourism Board staff. Visit time: 2:30 h. Environmental route: 60 min. Archaeological site visit: 60 min. Watchtower visit: 30 min. It is recommended to wear comfortable shoes and bring some water. Free activity (spanish and english). Limited (by order of booking). Entrada anteriorDÍA MUNDIAL DEL TURISMO 2013: “Turismo y agua: proteger nuestro futuro común”. El Campello 28 de septiembre 2013.